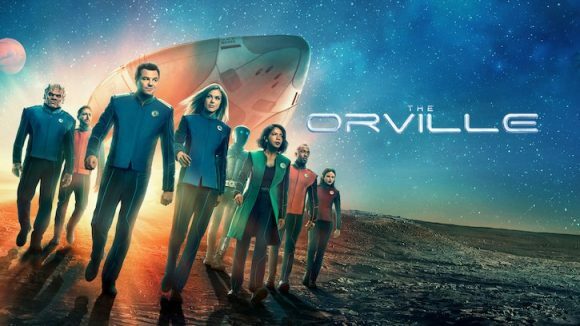 TVNZ OnDemand will launch season two of The Orville on New Year’s Eve. New episodes of the Seth McFarlane sci-fi comedy will stream weekly the same day as their Fox TV broadcast. Also new to the platform are the investigative documentary, TrustWHO, which goes live today, and the BBC’s 2016 docu-soap Ice Town: Life on the Edge, which is set in an Arctic circle community. Other highlights include a slate of British series (Bleak House, Broken, Dickensian, Life of Crime, Little Dorrit, Stella S1-6, A Bit of Fry & Laurie S1-4, and WIA S1-3) and specials (David Beckham: For the Love of the Mum and Dad, Eddie Izzard: Marathon Man, Rio Ferdinand: Being Mum and Dad). And if you missed them the first time, you can stream S1-9 of ER, S1-6 of Mike & Molly and Nip/Tuck, and from December 16 S1-5 of Go Girls, S1-4 and finale of Nothing Trivial, and S1-3 of The Almighty Johnsons. Other Kiwi fare includes new Fuel TV and, from December 15, OUTtv content and new episodes of Find My Killer from December 17. Yes, but a pretty old one. TV3’s licence would have expired by now and probably wouldn’t have covered digital rights, anyway. Stella – the ex Sky 1 UK show? That was actually ok – quite enjoyed Ruth Jones in that after Gavin and Stacey. Well, Trevor, that depends on what MediaWorks are doing with TVNZ when they are rivals, so I do not know what’s going on myself. Can you give me some feedback on this post?